The war diaries are full of tantalising hints about the enemy British and Indian troops were facing. There are mentions of different uniforms, equipment and regiments, but like the men themselves, we rarely get a full picture of troops on the other side of no-man’s land. 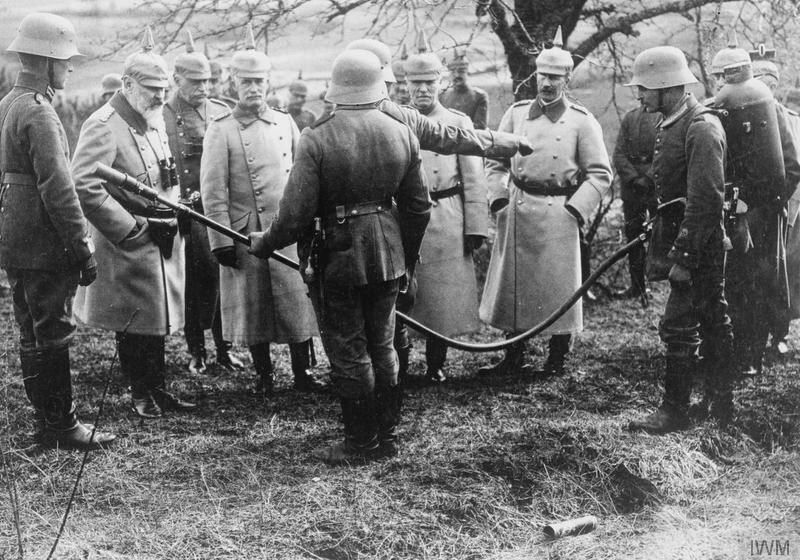 The truth is that the Imperial German Army of the First World War was not so much one unit, as several working in extremely close cooperation. Based on the kingdoms of Germany prior to unification, they were dominated by the Prussians, who absorbed many of the pre-unification armies into their ranks. Troops from Bavaria, Saxony, Baden and Württemberg, however, remained semi-autonomous, and had identities quite distinct from the Prussian army. All had their own War Ministry, for example. 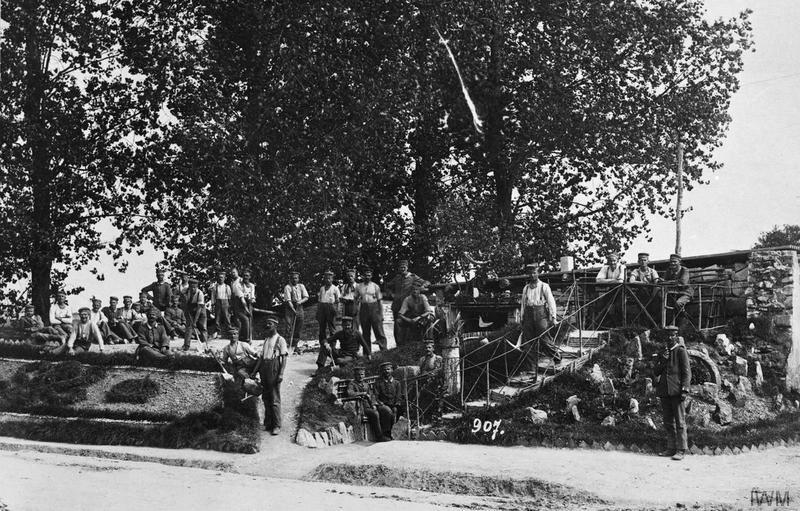 Image © IWM (Q 55009) – German infantry advancing in artillery formation on the Aisne canal. The Prussians were the largest contingent in the German forces. Their doctrine was based on mobile, encircling manoeuvres, which although impossible to achieve on the Western Front, led to great success against the Russians in the east. 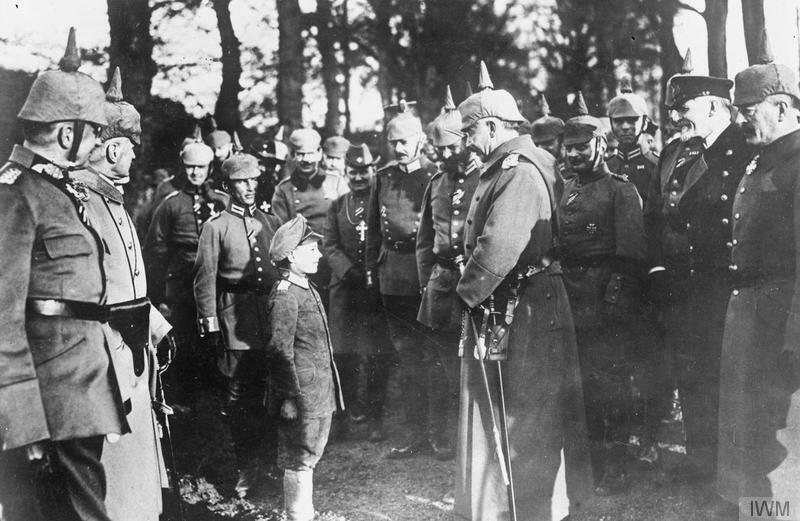 Image © IWM (Q 52767) – Kaiser Wilhelm II is amused at an orphan adopted by the troops during an inspection of troops with Prince Heinrich of Prussia. Note uniform of the Chaplain in the centre background of the group. Bavaria did standardise itself to some degree with the Prussians – they adopted field grey uniforms to replace their traditional light-blue, but still distinguished themselves with cockades and blue and white edging on their collars. During the early battles of the war, they fought as a united army under the command of Crown Prince Rupprecht, but as the war progressed and casualties mounted, they increasingly found themselves mixed in with troops of the other army corps. They began the war with a little over 87,000 men. Over the four years which followed, 200,000 were killed. Image © IWM (Q 50349) – Bavarian troops, with their pickelhaube helmets decorated with flowers, preparing to move off for a forward area. One of the soldiers quickly finishing his pint of beer. Photograph probably taken in 1914. 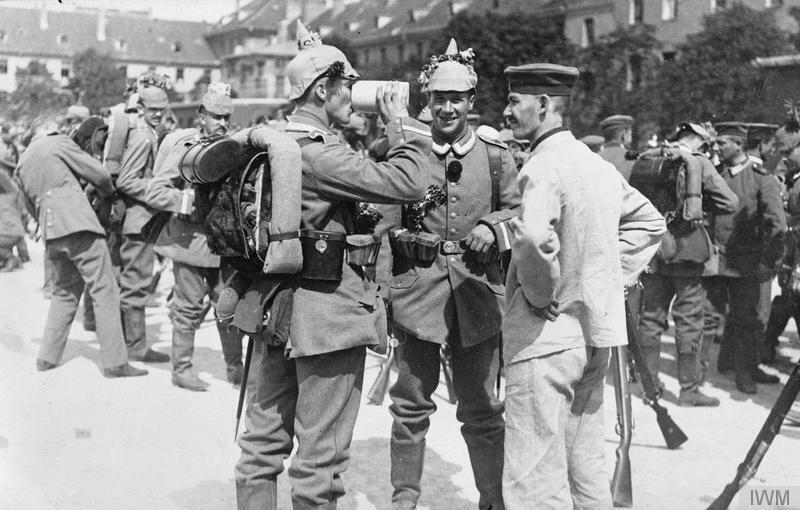 Saxony mobilised almost three quarters of a million soldiers during the First World War. Almost 230,000 never made it home. 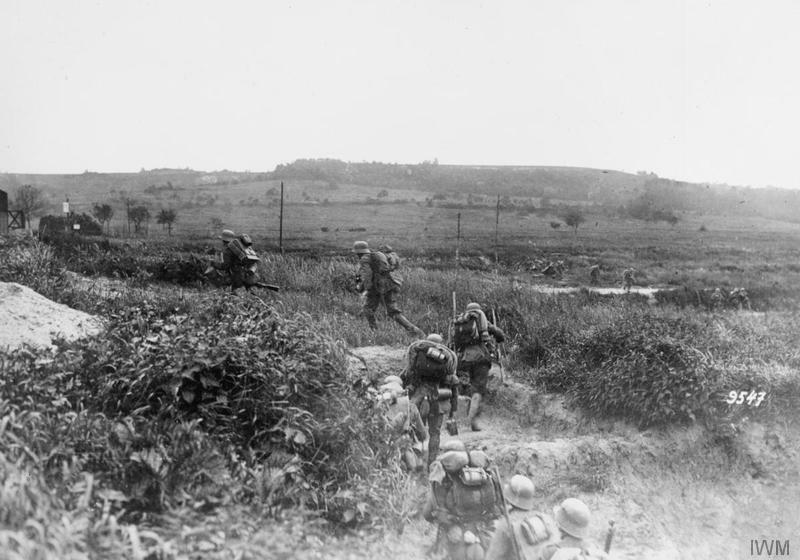 The troops were formed into two regular army corps and one reserve corps and fought mostly on the Western Front. Image © IWM (Q 87443) – Troops of a Saxon Grenadier Regiment in front of their dugouts. The floral monogram on the left is of King Frederick Augustus III of Saxony. The army of Württemberg was the smallest of the old independent kingdoms. Comprising a single army corps in the Imperial German Army, it nonetheless saw extensive action on both the Western and Eastern Fronts. During the war, a Württemberg mountain battalion was formed, for service on the Romanian and Italian fronts. It was in this battalion that the young Erwin Rommel made a name for himself, winning the Blue Max (Pour le Mérite), Prussia’s highest gallantry award. Image © IWM (Q 52257) – King Wilhelm II of Wurttemberg examining a flamethrower on the Western Front, April 1917. There’s much more fascinating information contained in the pages of the war diaries, including mention of the different ranks used by the various German units and the British and Indian troops’ impressions of the men who faced them. Why not join us at Operation War Diary and see what insights into the German army you can uncover?